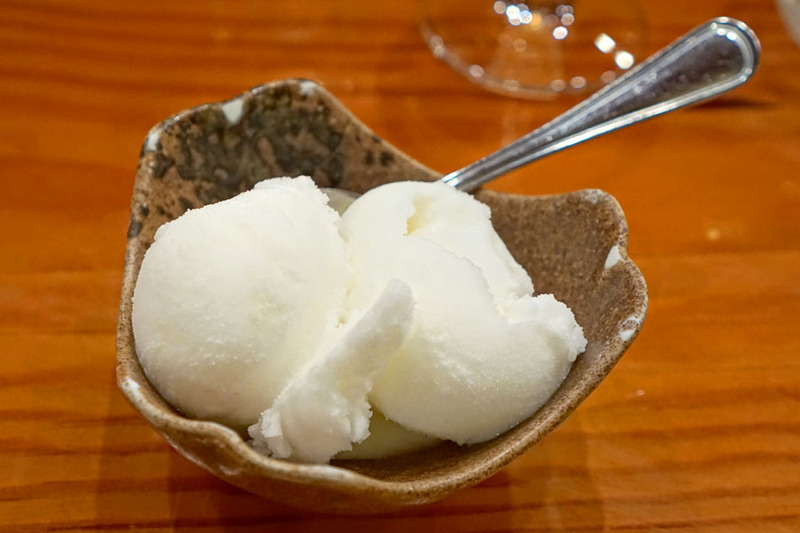 I had an excellent meal at Brandon Go's new Hayato not long ago, and that experience inspired me to report on Koi Japanese Cuisine, which I'd actually been meaning to do for years. If you recall, Koi is the restaurant owned by Brandon's father, Kunio Go. 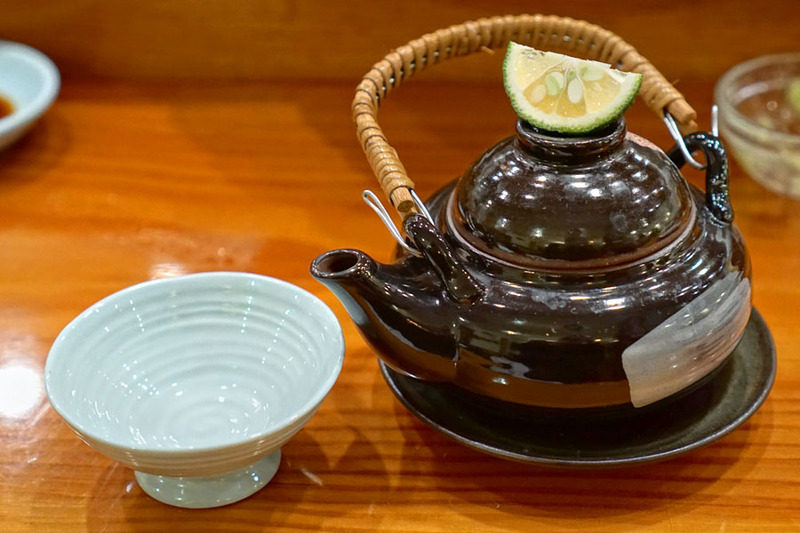 The place was opened all the way back in 1980, and is where the younger Go cut his teeth and first got interested in Japanese cooking. Do note that the restaurant is absolutely not affiliated with the scene-y Koi on La Cienega. 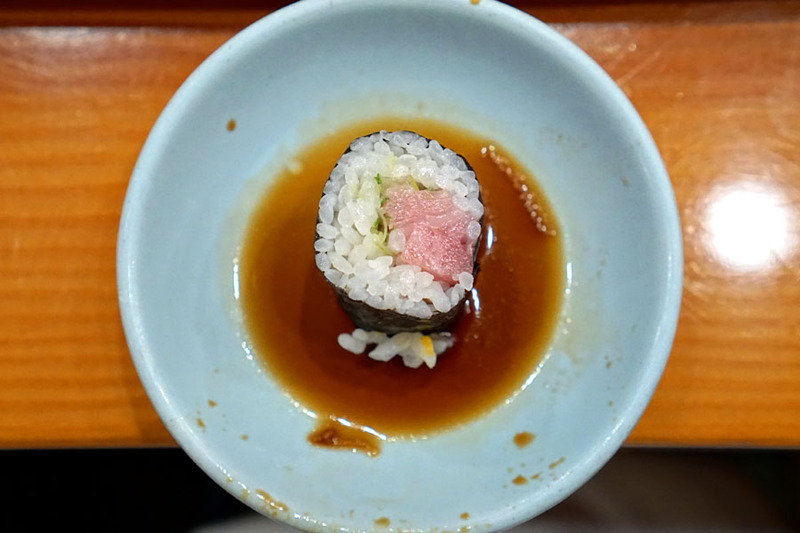 Otoro - Coming from Croatia, the tuna possessed a melt-in-your-mouth richness that called out for a dab of wasabi for balance. Uni - Luscious texturally, the sea urchin ate clean and sweet, with a tempering bitterness on the finish. 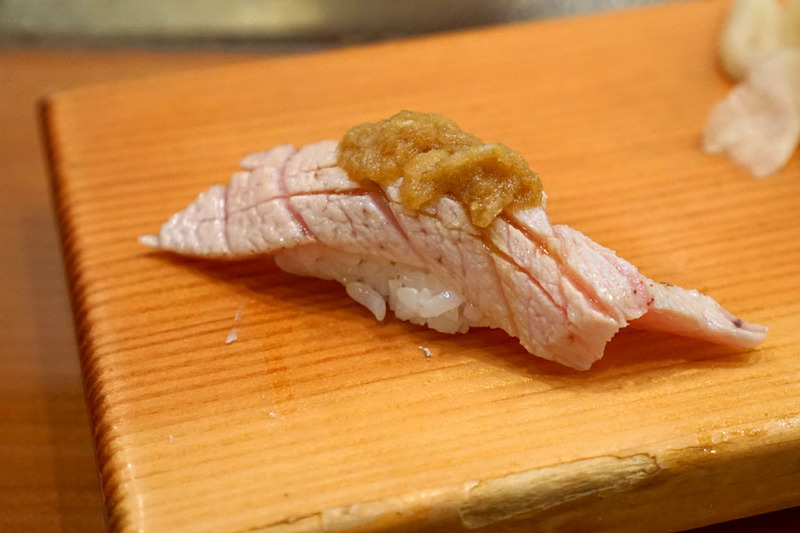 Hamachi Hara - Cuts of yellowtail belly were dense and fatty, and really sang with a brush of soy sauce. Mirugai - Geoduck showed off a great crunch, while flavors were both sweet and saline. Hotate - Live scallop was utterly fresh and clean, with a restrained, fruity brine. 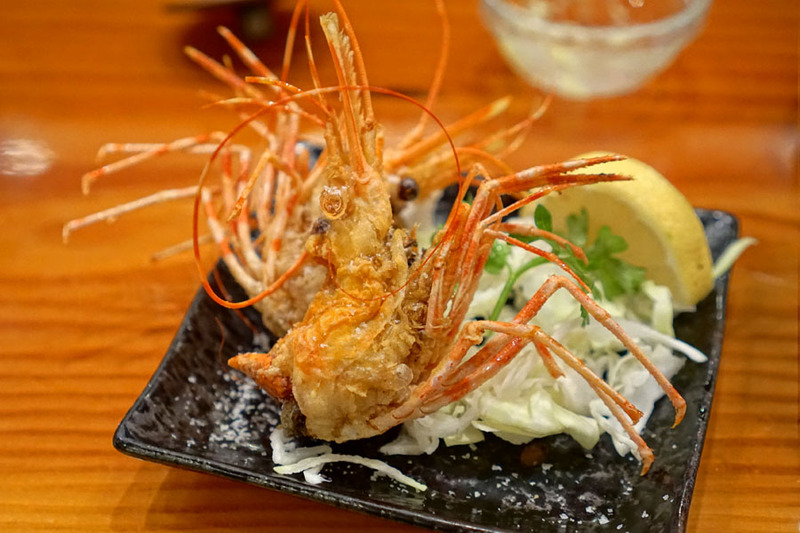 Amaebi - The sweet shrimp was spot on with its pure, focused flavors and snappy consistency. Awabi - Abalone had a thick, satisfying chew to it, while its taste was more on the delicate side. Aji - Spanish mackerel was super clean-tasting, and worked beautifully with its classic trappings of ginger and scallion. This is one of the dishes I always look forward to at Japanese restaurants come matsutake season, and Koi's version didn't disappoint. 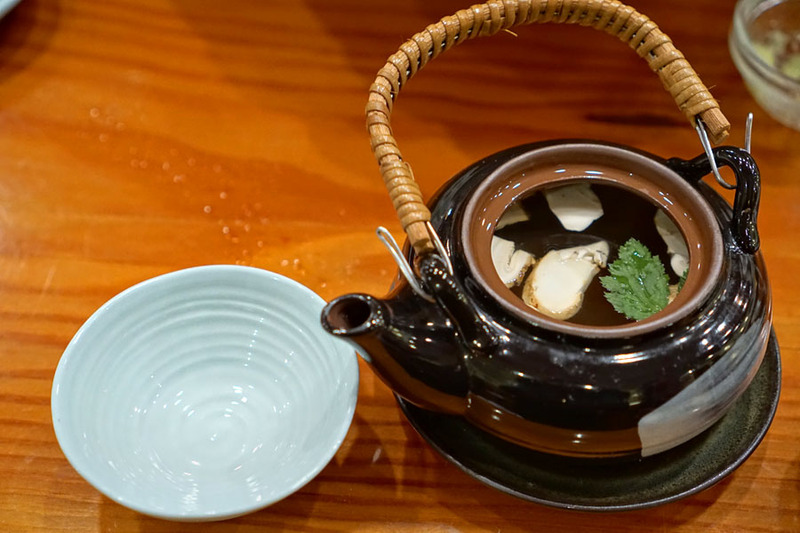 I loved the hot, cozy broth, which was well-imbued with the woodsy essence of the mushroom. A squirt of sudachi, meanwhile, added an offsetting tartness that worked great as a exclamation point. Perfect for the autumn. 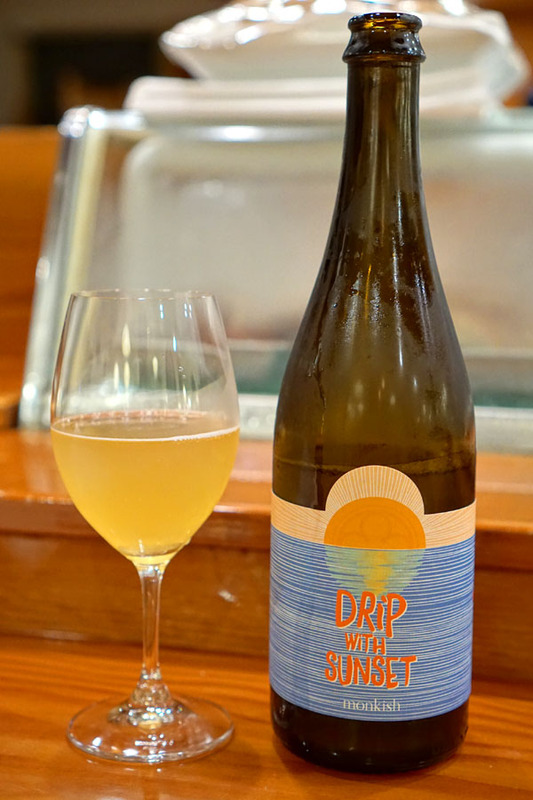 To drink, we went with some beer, the 2018 Monkish Drip with Sunset, a wild ale aged in oak barrels with Masumoto Family Farm Suncrest peaches. I found it tart, acidic, and quite dry, with bright stone fruit flavors and earthiness commingled with plenty of the advertised oak. Do note that corkage is $18.50 a bottle. 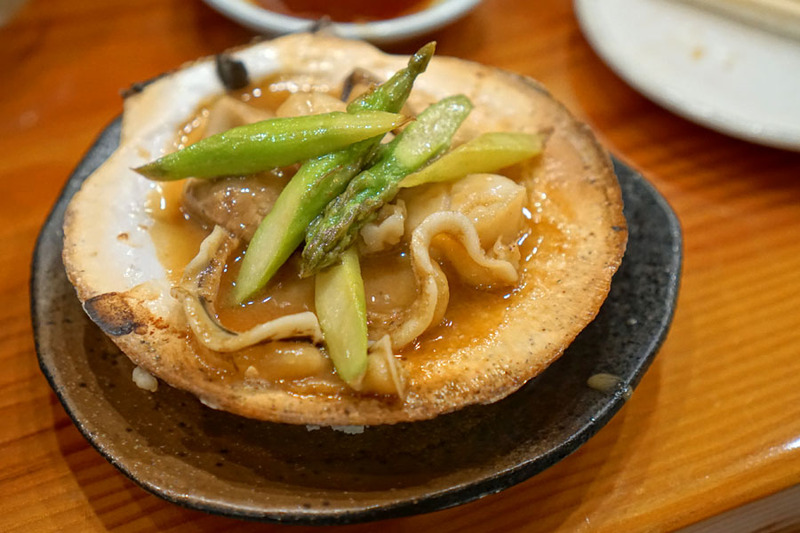 The innards from the live scallop above were combined with mushrooms and asparagus and turned into this hefty, gratifying dish. A nice contrast to the lighter flavors we were having earlier. Naturally, the heads from the sweet shrimp we had were subsequently fried. You can bet that this was just as crunchy and savory and tasty as I expected. Now this was a surprise. 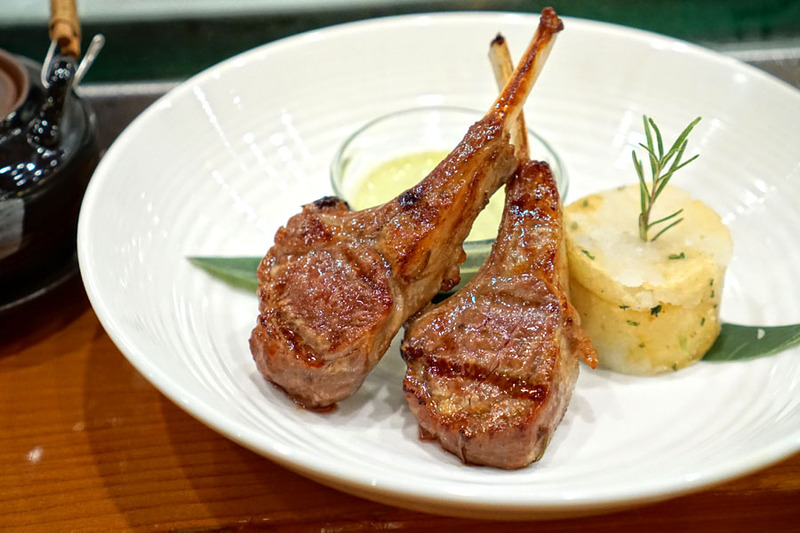 Lamb was treated to a sweet 'n' savory marinade, making for some tender, juicy, delicious chops that were even better when paired with that bright, vibrant basil sauce on the side. I enjoyed the herby, homey potatoes, too. 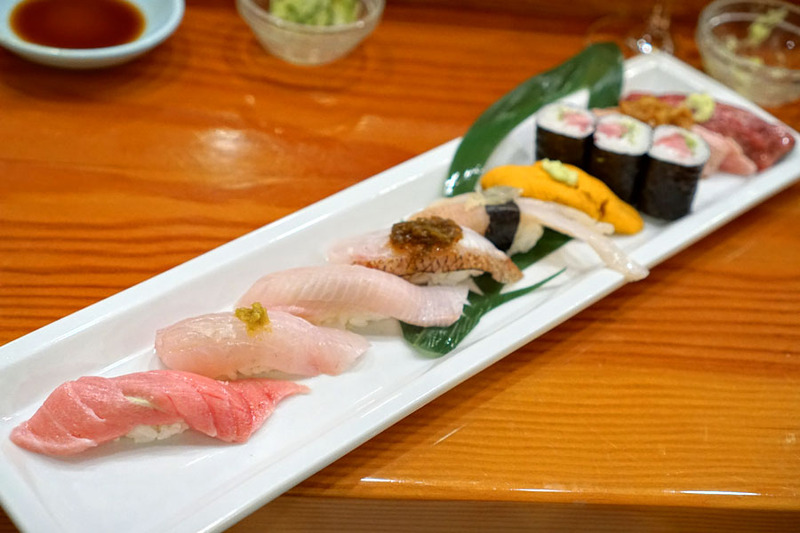 At this point we moved on into the evening's sushi assortment, which was composed of nine selections. 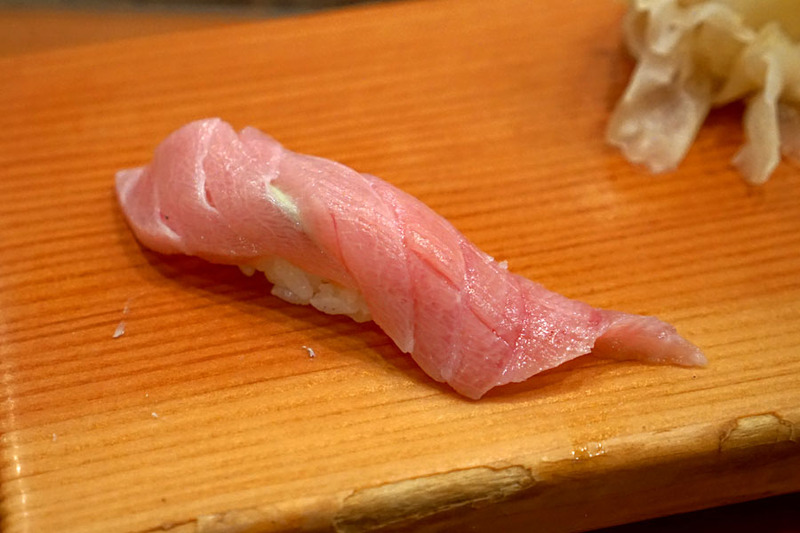 It was a nice looking plate, though I do wish that each piece of nigiri were served individually. The tuna belly was oh-so indulgent, and really hit the spot with a dab of soy. Yum. Amberjack was a delight, and really paired well with its dollop of yuzukosho up top. Note that I forgot to take individual photos of the next few courses, as apparently I was having too good of a time eating. 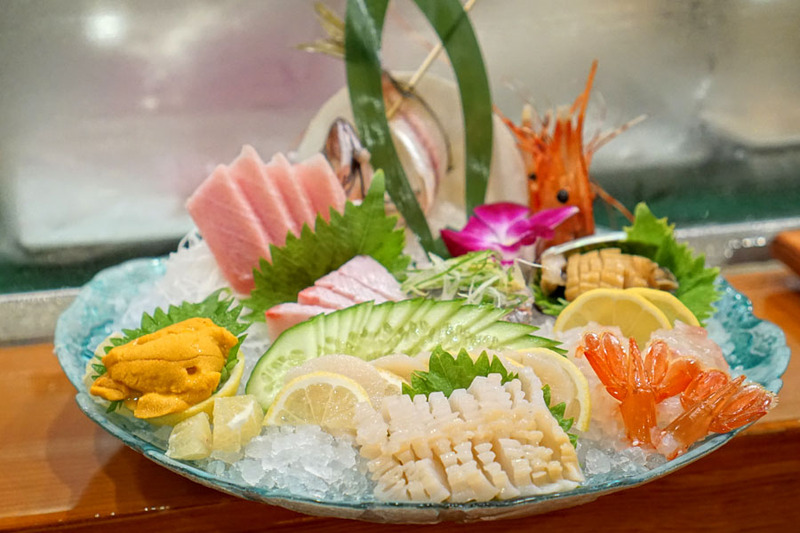 The yellowtail amberjack was a firm, fatty fish that really opened up with a brush of soy. Wild Japanese snapper was accompanied by a topping of smoky shishito, which actually didn't overwhelm the delicate flavors of the fish, much to my surprise. Geoduck clam was satisfyingly crunchy, and conveyed an aggressive salinity that matched up well with the included nori and wasabi. Sea urchin was soft and sweet, with an "eggy" sort of quality and a strong minerality on the back end. Here we had fatty tuna and scallion in perfect harmony, moderated by the rice and a thin layer of seaweed. Classic and always enjoyable. The searing of the toro seemed to amplify its potency, so an accompaniment of marinated, grated radish served as an effective counterpoint. Last up was the wagyu sushi. 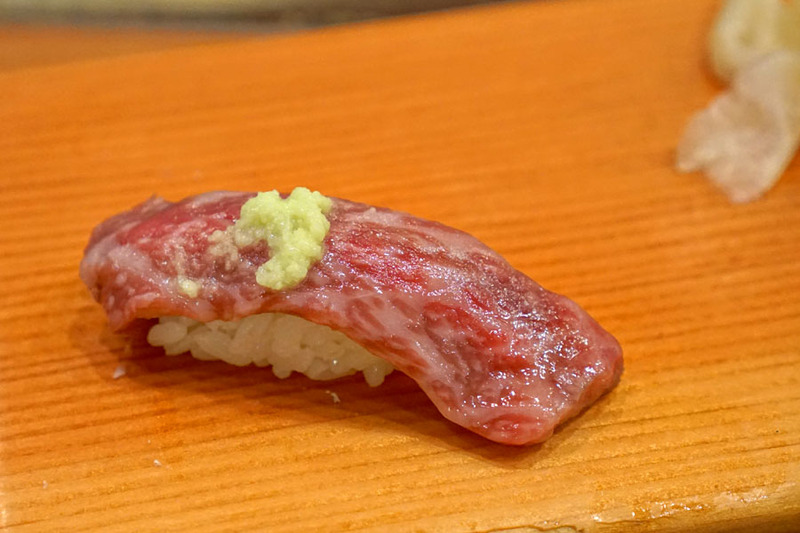 I got a lot of wasabi up front, but this quickly transitioned to the unmistakable, lingering richness of the fatty beef. 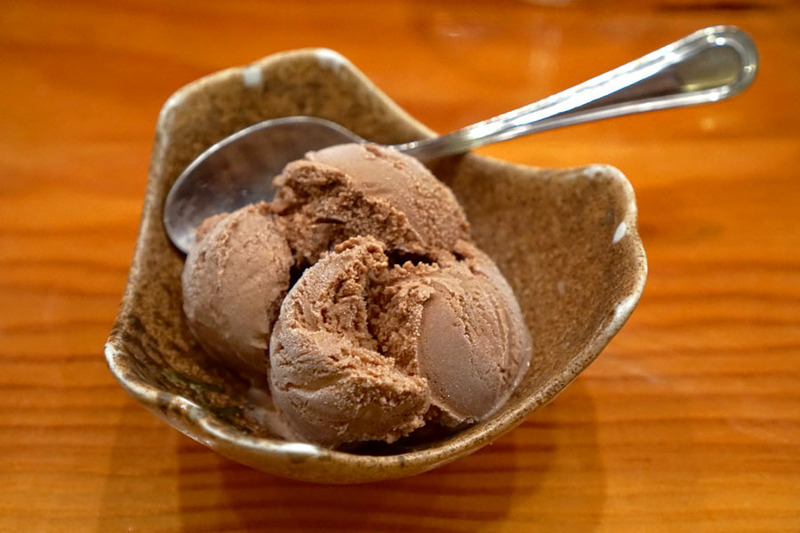 For dessert we had a super sweet, fruity lychee ice cream and a pretty prototypical chocolate ice cream. 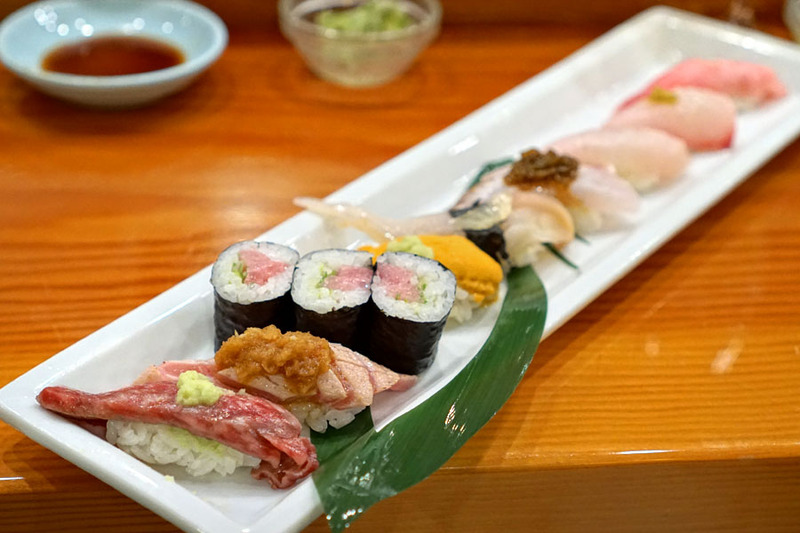 I grew up in the Seal Beach area, so I'd been aware of Koi for over 20 years, but never reported on the restaurant until now. That's a damn shame, because the place is a gem, a local favorite, a real mainstay in the community. Go-san is there most nights, and is an affable host to boot. I guess there's a reason why the place has been going strong for 38 years. This place has been around for a long time. I do remembered going here when there was no hype and still get crush of people. Glad they are still there in good ol' Seal Beach.